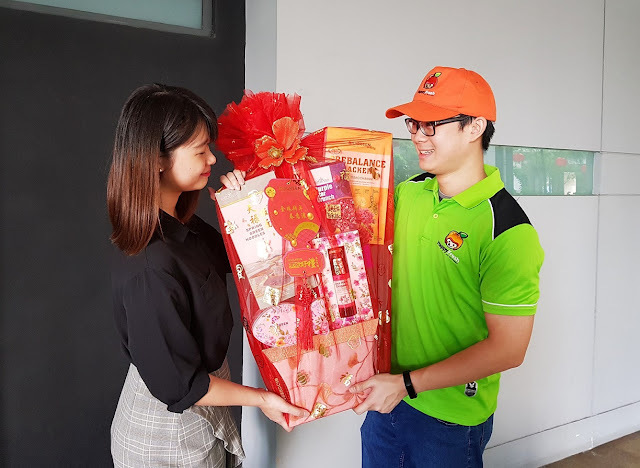 HAPPYFRESH, Malaysia’s Leading Online Grocery Delivery company is offering hamper delivery this Chinese New Year, from today until February 12th. Whether as personal or corporate gifts, customers can purchase hampers through the mobile application or website at prices from as low as RM88. The hampers can be paid for via cash-on-delivery (COD) or credit card payment. Besides hampers, HappyFresh is also offering great deals for auspicious gifts such as abalone, lobster, snacks and other fresh ingredients for lou sang and open house needs. Chinese New Year-related items are also available, such as 28 pieces of Mandarin oranges, Kuih Bakul, Pineapple tarts and so on. HappyFresh is an integrated grocery shopping service where customers can do their shopping for their homes and offices. They can place an order from the hypermarket and grocery stores closest to them and have it delivered to their doorstep. Customers simply have to enter their postal code on the website or mobile application to see what stores are available in their location and then carry out their shopping without having to so much as lift a finger. In 2018, HappyFresh was awarded the Top Brand in Online Groceries by Brand Alliance. This further emphasizes HappyFresh’s commitment to bringing convenience to Malaysians whilst ensuring they receive the best quality. Available in the Klang Valley, Penang and Johor Bahru, HappyFresh delivers freshly picked groceries on demand within as little as two hours to the next seven days. Customers can choose from a wide range of retailers such as Tesco, Mydin, Giant, Cold Storage, Jason’s Food Hall and Mercato, amongst many others. Customers will be able to experience the HappyFresh touch from start to finish – each item picked by the customer is hand selected by a trained personal shopper and then delivered via HappyFresh’s logistics teams to ensure a smooth transaction. The HappyFresh app is available for download on the Apple AppStore and Google Play Store. For more information on HappyFresh and to make an order, please visit www.happyfresh.my.